Our product portfolio contains a wide range of signalling devices which include Visual signals, Acoustic signals and Visual / Acoustic combination signals. Our customer base spans from electrical wholesalers and contractors to distribution organisations, original equipment manufacturers and a variety of end users, such as mining, manufacturing, electrical and gas utilities to name but a few. With its programme of development, Moflash is in a strong position to keep meeting the ever increasing demands of a safety conscious world. This is due to our dedicated team of engineers and sales teams based in UK, Germany and the UAE, including over 40 distribution partners operating in 70 countries worldwide. Our products are always available to meet the customer’s needs. However, if our standard products are outside the scope of your project, then please don’t hesitate to speak with our technical department to see if they can help. 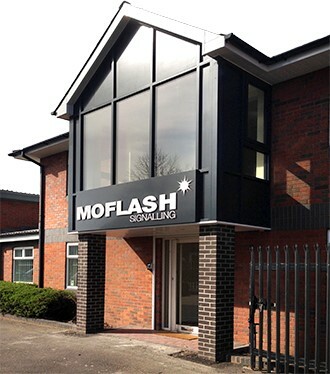 Moflash will try to modify or design a product based around your specific needs. Please note, all projects will be considered on their commercial viability. Our commitment to quality and service continues today as it did when we formed over 20 years ago: it underpins our focus and passion for our industry.